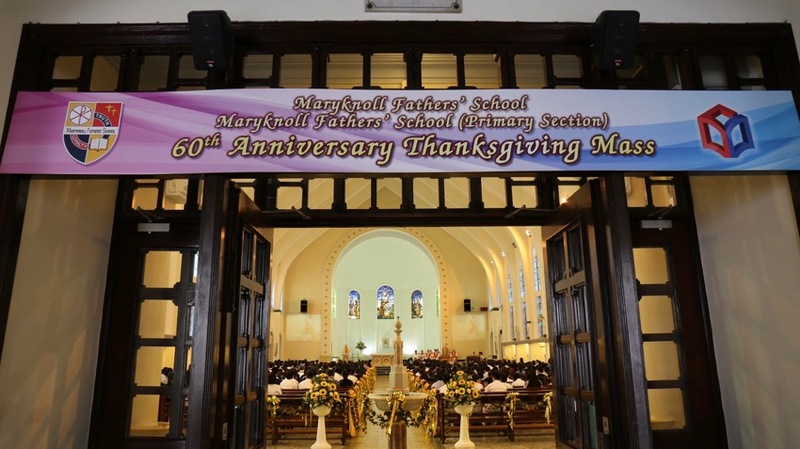 Maryknoll Fathers’ School celebrated a memorable 60th Anniversary mass at St. Francis Church on October 20. 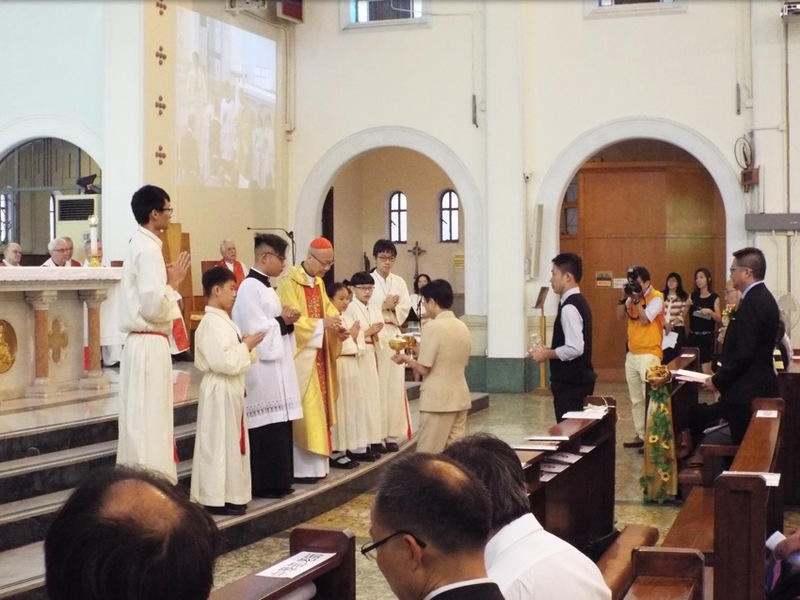 The church was filled to capacity as the MFS family gathered to give praise and thanks for six fruitful decades. It was a reminder that Fr. 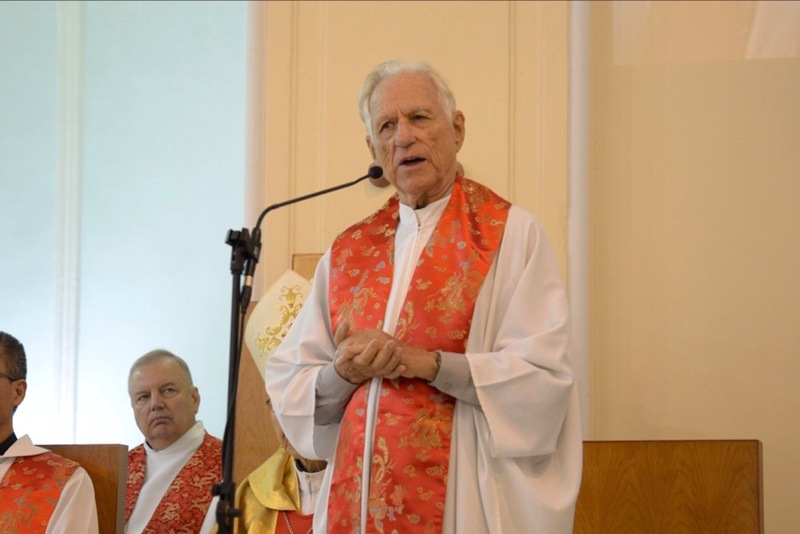 Peter Reilly’s love for Christ was what motivated him to found our school so many years ago, and it is that same love that continues to inspire and form MFS students today. 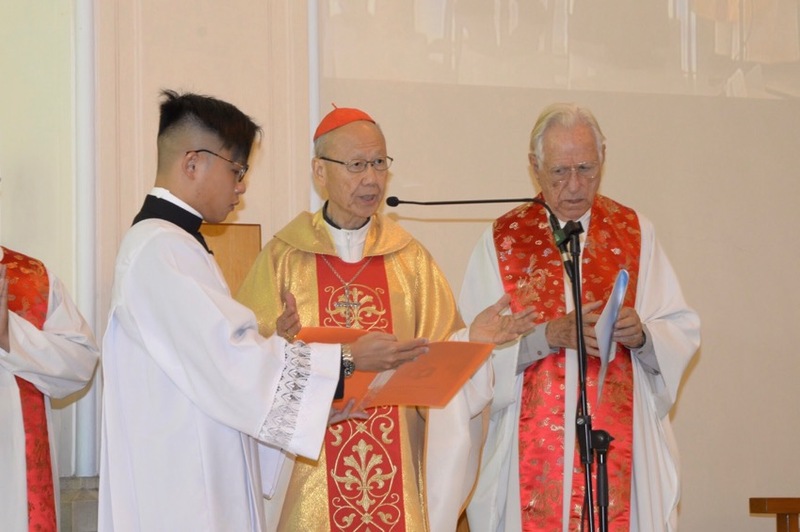 Cardinal John Tong graciously joined us as the main celebrant for mass. Our former supervisors, Fr. John Geitner and Fr. Mike Sloboda were concelebrants as was former teacher Fr. John Cuff. Maryknoll priests Fr. Peter Barry and Fr. John McAuley and St. Francis parish priest Fr. Paul Tam also took part in this special day. 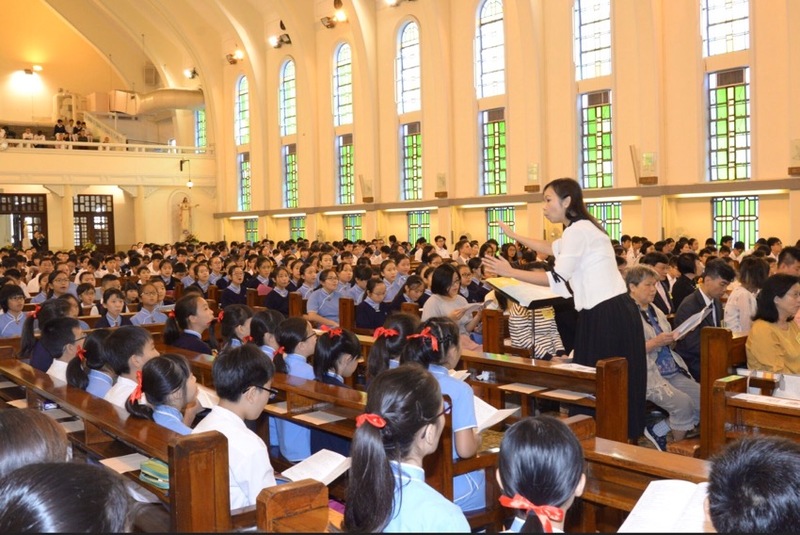 Although the church was not big enough to fit all students, Forms 1 and 6 attended along with student leaders and representatives from various student groups. Some also had special roles in the mass. The joint primary and secondary choir led the hymns while others served as lectors, gift bearers, organists, and altar servers. Students also helped greet and usher guests before and after mass. The morning celebration ended with remarks from Fr. Geitner and Supervisor Agnes Yeh. They spoke of the school’s rich history and values and reminded students to live out this tradition by loving and serving others.